Blessed Dina Belanger was born in Quebec City, Canada, on April 30, 1897 (five months to the day before the death of St. Therese of Lisieux). She was the daughter of Octave Belanger, an auditor and accountant by profession, and his wife Seraphia Matte. She was baptized the same day in the Church of St-Roch in the Lower Town of Quebec, receiving the names Margaret-Mary Dina (the latter in honor of her paternal grandmother). She was an only child. A brother, Joseph-Simeon-Gustave, was born seventeen months after her, but lived only three months. Dina inherited from her family, in addition to their Norman French roots and deep Catholic Faith, a strong will and a love of order and precision (her father’s side) and a pious, reserved and unselfish character (her mother’s side). As she grew older she would say her prayers leaning against her father’s knee, her head bowed and her hands joined. She loved the ‘Angelus’ prayer, and whenever she heard the bell ring while playing outside she would run upstairs in time to say ‘Amen’, which was all the Latin she knew! 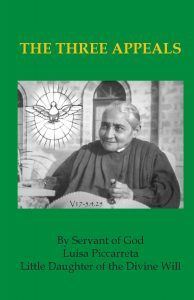 Madame Belanger took her to church at an early age, not only to Mass, but also to sermons, novenas, and meetings of the ‘Ladies of the Holy Family’. But as most four-year-olds can be in church, Dina got easily bored by the sermons. So one day she brought with her a tiny stoneware doll named ‘Valeda’ to church and began to play with it during the sermon. ‘Put that away’, her mother said….and she did. Five minutes later, the doll made its appearance again. This time her mother confiscated it and put it in her purse. Once home, Dina was reprimanded for her unseemly behavior. Before going to church again, her mother hid ‘Valeda’ in the house so Dina couldn’t find it. Not hidden enough! Dina searched while out of her mother’s sight, found it, stuck it in her pocket, and after her mother was ready to leave the house, walked with her to church. Then, at the sermon, ‘voila!’, there was ‘Valeda’ again! This time, her mother gave her a good ‘talkin’ to’ when they got home: “We don’t bring playthings to church-you’ll have plenty of time to play when you come home’. This time the reproof had effect, and Dina was ‘cured’ of bringing toys to church! “Come on, let me help you to scream and dance-that way we can get this done sooner.” And he did the exact same thing that Dina did! Mortified by her father’s imitation of the tantrum, Dina stopped, having no inclination to continue. The lesson took hold, and there were no more temper tantrums from Dina. Both parents spent time with her. When her father came in from work in the evening, he would take Dina in his arms, kiss and fondle her. He spent hours playing with her and answering her numerous ‘Whys?’. His greatest joy was to spring little surprises on her: a walk, a trip, some small present. 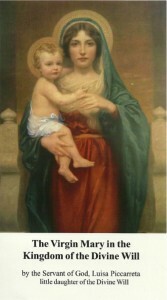 Her mother, being very charitable, would take Dina with her on her errands of mercy to the poor. Both parents rendered all sorts of services to the poor and needy, whether they were relatives or complete strangers. They were discreet in their charity; often they would say, ‘Do not put down my name’, or, ‘This is for you, but do not say anything about it’. At the age of six, Dina entered the convent school of St-Roch , in the ‘Lower Town’ of Quebec City. This school was run by the Sisters of the Congregation of Notre-Dame, founded by St. Marguerite Bourgeoys of Montreal. Her mother’s ‘prophecy’ was fulfilled to the letter, as Dina states in her ‘Autobiography’; she took a deep interest in school and took to her studies with a passion. She was very punctual in her school attendance-she never made illness, fatigue, family outings, or journeys out of town excuses for missing-or ‘skipping’-school. She had a few friends among her classmates. Usually it was her mother who extended invitations to the Belanger home, because Dina by nature was reserved and fond of solitude. She was taught to be discreet in personal matters both at home and at school-she was never allowed to talk in class or elsewhere of what took place at home, and never to mention anything but praiseworthy actions of her schoolmates, and always with strict regard for the truth. At school, each student was given her weekly marks for conduct and application in studies. Since Dina was six, she always received perfect reports. But one day she got only ‘good’, instead of the usual ‘very good’ because she ‘lingered unduly in taking my rank’. She begged her teacher to be allowed to ‘buy back’ her good mark, but in vain. The mark stayed on the report card, and still more in Dina’s memory. During the rest of her schooldays no other ‘bad mark’ ever appeared on her report cards. At age thirteen, she was admitted to the Sodality of Our Lady at Jacques-Cartier, and took as her personal motto ‘DEATH RATHER THAN DEFILEMENT’. This was her ‘ideal’ until she entered the Novitiate at Sillery Convent. 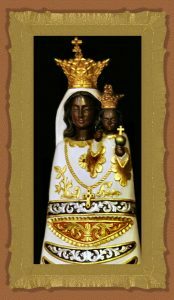 At about the same time, she consecrated herself to Our Lady by means of the ‘True Devotion’ of St. Louis-Marie de Montfort (at this time only a ‘Blessed’). This consecration brought her great joy and peace. When she was fourteen, at the end of her second year at Jacques-Cartier school, she asked her parents to let her go to boarding school. It would mean separation, but they didn’t hesitate to yield to her request, knowing that it would be good for her character development. 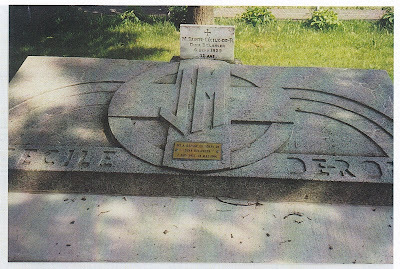 The school was Bellevue Convent, again another school under the direction of the Congregation of Notre-Dame. During the summer, her desire for religious life increased. 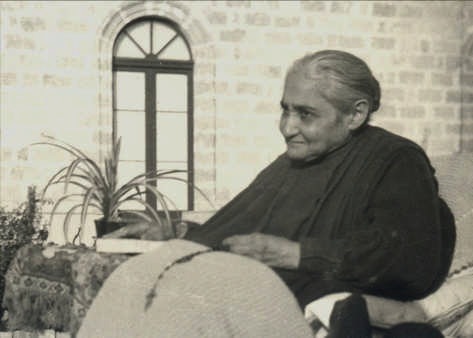 She had a serious conversation with Father Philemon Cloutier, her spiritual director, on August 15, 1911. She felt a deep loathing for the world, and kept repeating, ‘Vanity of vanities, all things are vanity.’ But she was still very young, and he decided it would be better for her to remain in the world longer with her parents. Her fellow students were kind to her but she found it trying to live with so many people. She remarked to her mother once, ‘Mamma, it is not easy to live with other people, is it?’ She was used to being alone in her own room. But being in boarding school drew her out of her solitude. She strove to be friendly with her classmates. She didn’t like holidays or any prolonged recreation. She had to make at times violent efforts to take part in noisy games, to the extent of feeling great physical weakness. Her teachers testified in later years about her practicing self-denial in order to live in a group. She was given projects which forced her to take part in recreations, in entertaining activities. On the other hand, she great timidity and reserve, but was-according to one teacher-pleasant, an exceptionable student, and kind towards her companions. And one of her classmates called her ‘the divine Dina’. She didn’t read much for recreation during her time at Bellevue; her free moments were usually spent in study. She read only two books: a library book of a ‘Biblical romance (the ‘only novel’ she ever read), and through the generosity of a classmate, the ‘Story of a Soul’, the Autobiography of [then Blessed] Therese of Lisieux. She loved reading the latter! In her time, children didn’t receive their First Communion before ten years old-this was around the time of the decree ‘Quo Primum’ of Pope St. Pius X, which advocated frequent Communion and lowering the age for children to receive First Communion at the ‘age of reason’ (usually seven years old). Dina was already nine, tall for her age (a ‘growth spurt’, perhaps? 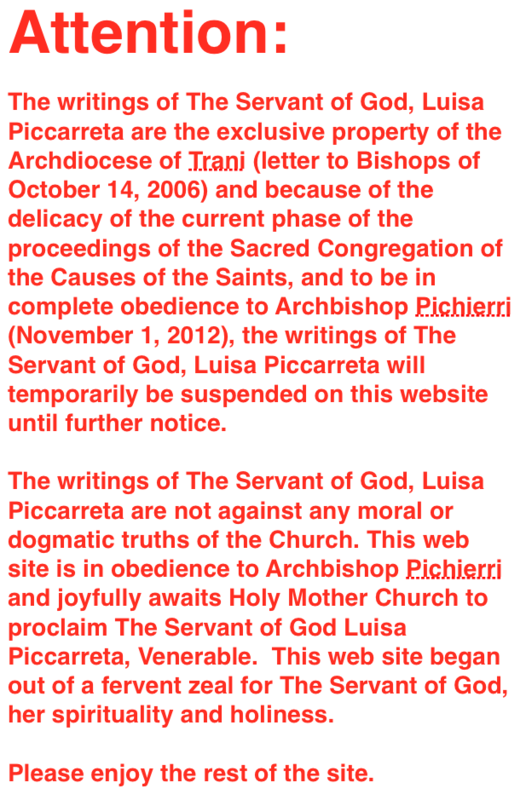 ), and was very well versed in her Catechism to receive at an earlier age. Her mother went with her to the parish rectory and begged the pastor to be allowed to receive before her tenth birthday. The priest refused permission; saying it was contrary to established order. Later on, in her testimony before her daughter’s beatification tribunal, Madame Belanger stated that Dina was deeply hurt by the refusal. She was disappointed, but decided to prepare for it more ardently. She received her First Communion the next year, on May 2, 1907, two days after her tenth birthday. During her retreat to prepare for it, she heard it that ‘a fervent First Communion was a sure passport to Heaven, and a lukewarm one a ticket to Hell’. Since she wanted to, in her words, ‘take the train to Paradise’, she prepared for her confession with the utmost care. She accused herself of many faults, but she was certain she had not lost her Baptismal innocence. 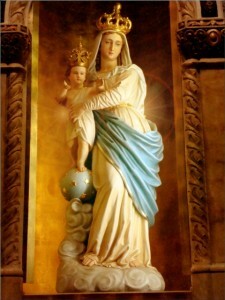 She expressed an intense gratitude to Our Lord and Our Lady for this favor. The sentiments she expressed on that day are strikingly similar to those of St. Therese of Lisieux on her First Communion day. The same day as her First Communion, Dina was Confirmed (a custom in her day, perhaps), and was invested in the scapulars. She spent happy hours celebrating the day with her parents and other family members in her home later that day. A humorous incident happened to Dina later in the evening that made her realize the emptiness of earthly things: she had changed from wearing the simple white dress she had on for the First Communion Mass to a more elaborate one of white silk and lace. By some ‘klutzy’-or ‘awkward’ as she calls it-movement, she tore the fancy dress! Yet she had no feelings of regret for doing it….no ‘drama queen’ here! Instead, she was glad to slip away to her room, away from the noise of conversation, to dwell on WHOM she received: Our Lord Himself! It was during her two years at Bellevue that she paid her first visit to the Convent of the Religious of Jesus and Mary in Sillery. While she and her classmates were being shown through the boarding school, a group of postulants passed by in the corridor, edifying Dina by their happy, yet recollected demeanor. She enjoyed her visit, and the friendliness of the nuns and the students. Little did she know that in just a few years’ time she would be a member of the Congregation of Jesus and Mary! Her boarding school days were now over. Some of her teachers suggested she return the next year in view of following more advanced studies at their College in Montreal. Her parents decided against it; they missed Dina very much during her two years away, and they weren’t very keen on having her go to a faraway city like Montreal (remember, this was the early part of the 20th century). And at the same time, they thought that the ‘ordinary’ course of studies was sufficient for Dina to follow whatever walk of life she might choose. Dina spent three years at home with her parents after graduating from Bellevue Convent. She was obliged to have some social contacts outside of home-she says she found them ‘a burden’. Her mother did allow her some freedom of movement, however; she trusted her daughter. But Our Lord saw that her desires were centered on Him alone-He knew her heart. She read very little-her director kept urging her, ‘read, read’-but she felt she couldn’t find in books the spiritual food she longed for. Our Lord supplied it for her! Seven months after leaving boarding school, Dina asked her parents, her spiritual director, and her pastor for permission to enter the Notre-Dame novitiate. She was sixteen years old. The two priests thought it would be wiser to put this off until a later date. Her father testified after Dina’s death: ‘This refusal seemed to hurt her, that was evident.’ Her mother went further: ‘She cried. 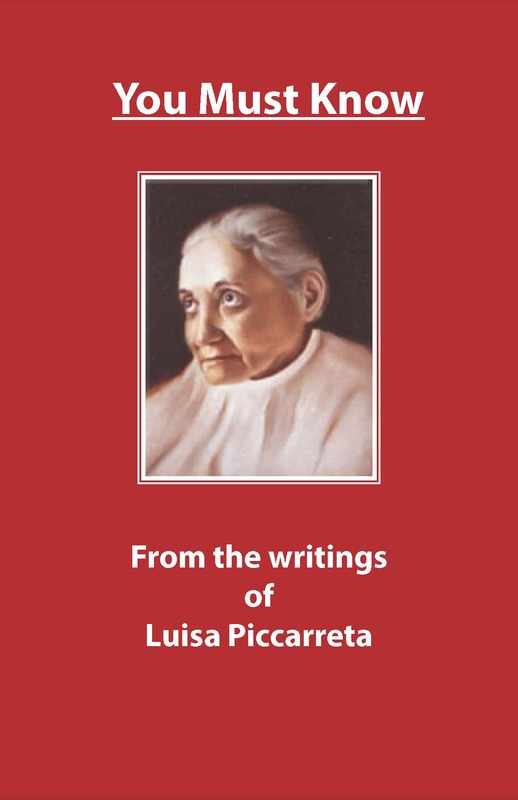 But she submitted herself, especially after she heard her pastor’s advice.’ The pastor, Msgr. Omer Cloutier, said that she should not enter before she was twenty-three or twenty-four. She remained in peace in spite of this decision. So she was not what one would call ‘worldly’. Thanks to her mother’s careful training, Dina presented herself as a perfect young lady ‘in the world’, even if her heart belonged to ‘God alone’. And so she would refuse the offer of a human love, no matter how pure and beautiful it might be. During this time, Dina became involved in her parish. She joined the ‘Tabernacle Society’, where she, her mother, and other ladies would help make or embroider Church vestments. 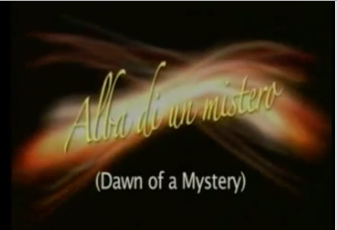 The meetings would begin with a short spiritual reading which Dina would find helpful. 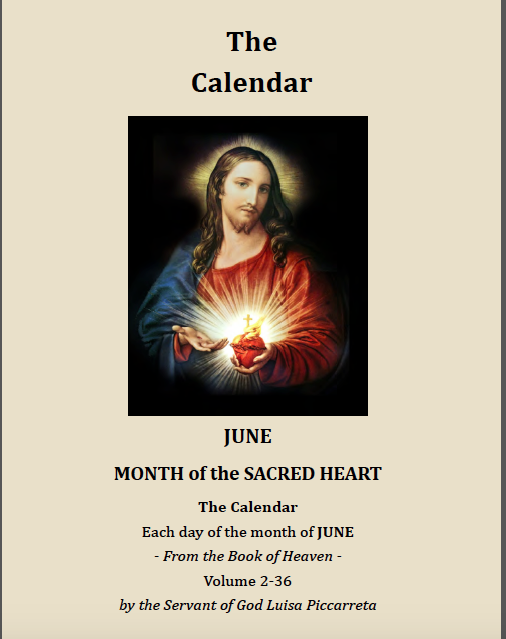 She also became a member of the ‘Apostleship of Prayer’, which spread devotion to the Sacred Heart. She helped to distribute the monthly prayer leaflets. Her mother was also a member. In addition, she continued to help her mother in visiting the sick and the poor, something that was done since her early childhood. Her piano studies continued. She received a ‘Superior Class’ certificate, a ‘Laureate’, and lastly a ‘Teacher’s Diploma’. She took lessons from a Quebec musician, Monsieur Arthur Bernier, who was organist at her parish, Notre-Dame de Jacques-Cartier, from 1914 to 1917. M. Bernier was also a friend of the pastor, Monsignor Omer Cloutier, a humanist and a friend of the arts, particularly of music. The priest greatly appreciated Dina’s musical talents. She says, ‘Toward the end of the year 1915, the matter of having me study piano in a conservatory abroad began to be serious. New York was the designated city, and the house of the Sisters of Jesus and Mary, ‘Our Lady of Peace’, the ideal place to live.’ Her parents were at first concerned, especially her mother. (Dina tried to reassure her, saying, ‘Oh, Mamma, I could have flirted here, going to and fro on messages, nothing would have been easier.’) They examined the advantages and the pitfalls. Msgr. Cloutier strongly advised them in favor of the plan. She wouldn’t be going alone-she would have two other girls from Quebec as companions, and she would be staying in a residence run by nuns. So her parents consented, and gave her the present of two years’ study (eight months each year) in New York. What was her opinion of herself as a musician? She had a certain measure of success; but the applause she received only tended to convince her of her incapacity. She did admit that God had endowed her with a certain talent, ‘but I aimed at so sublime, so unattainable an ideal that I know I did not merit so much praise. I accepted it, as a proof of the indulgent good nature of my friends. I felt myself utterly deviod of talent. Lack of sureness, a defective memory, a nervous touch were some of the defects I clearly perceived. Every false note I struck went straight to my heart and I would exclaim: ‘That is an example of what I can do!’ My self-centered soul, hiding its ardent emotions, let my icy fingers race over the keyboard without awakening harmonies, vibrant chords. I had not the knack of accompaniment, still less the living breath of improvisation.’ She often put the question to Our Lord, ‘Why so much study?‘ She had so little talent, she though. 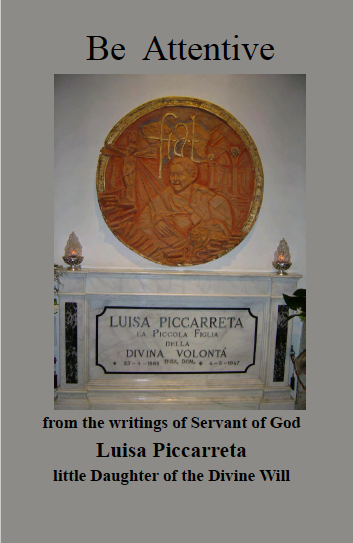 She frequently invoked the help of St. Cecilia, the patroness of music and musicians! ‘Our Lady of Peace’, run by the Religious of Jesus and Mary, was founded in 1902 on West 14th Street in New York to provide a safe place for girls and women coming to the big city to study or work. It was comfortable, up-to-date and attractive. Nine stories high (therefore not a ‘skyscraper’), it had a roof garden with a view of New York harbor. There was a chapel on the ground floor, and the Sisters took care of the residents’ needs and served their meals in the dining room. There was a social life for those who cared for it, and other religious services outside of daily Mass. But it was providential that Dina and Bernadette roomed together. They became close friends-almost like siblings. They shared the bond of being alone together in a foreign country, as well as all the joys, the loneliness of being away from home and family in Quebec….as well as their frequent fits of laughter! And in the end, both entered on the same day the Congregation of Jesus and Mary in Sillery, and made their First Profession side by side! Bernadette outlived Dina by many years, dying in 1977 at the age of 77 years. She is buried in the Community cemetery at Sillery Convent. Aline also became a nun, entering the Congregation of Notre-Dame in Montreal. When her father left New York, felt the pains of homesickness. To halt those feelings, she immediately got down to work at her studies at the Conservatory! There she had speak in English, study in English, and understand in English! (one of her professors said to her at her first lesson, ‘I did speak French a long time ago, but I have forgotten it’) She says, ‘It was comical sometimes, particularly in the first few days. Happily, pianos sound the same in all lands although the names of the notes follow linguistic caprices.’ She learned English as a second language while in school in Quebec, but among her parents and friends she always spoke French. Dina wrote 280 cards and letters to her parents during her two years in New York. They were filled with affection, vitality, enthusiasm, and cheerfulness. She would tell of experiences such ‘New York’ things as riding the subway, and going shopping at Macy’s-she was fascinated by the escalators she saw there! She and her two companions would play innocent tricks on each other and laugh uproariously in the process. For example: one evening Bernadette heard loud peals of laughter coming from Aline’s room. She ran to see what happening, and found Dina and Aline helpless with laughter. Dina had seated herself on Aline’s bed with an open umbrella over her head, waiting for Aline’s arrival. When Aline came in and turned on the light, she let out a shriek of terror! And of course, all three laughed till the tears came! There were opportunities for leisure time for Dina and her companions outside of the Conservatory; but she was extremely prudent with regards to the concerts and other cultural events that were available. She saw performances at Carnegie Hall by famous artists such as the Polish piano virtuoso Ignace-Jan Paderewski and the Italian tenor Enrico Caruso. She went to the movies once or twice, according to Bernadette Letourneau’s later testimony. They went to a French play once. And Dina’s reaction on coming out of the theater after seeing the play? ‘I am so happy to be out of there!’Anytime she went out-to concerts, movies or plays-if she had any doubts as to the moral content, she always sought advice from well-informed people before attending, usually from priests. Dina kept to the same prayer schedule that she had at home, only now she indulged in longer meditations. She appreciated the fact that she was staying in a convent, with a chapel where Mass was said daily and other liturgical ceremonies took place. Yet she also went to Mass in at least two New York churches according to her letters: the Jesuit Church of St. Francis Xavier, and an unnamed ‘Church of the Assumptionists’. In the chapel of ‘Our Lady of Peace’, she spent many an evening, close to Our Lord in the Tabernacle. Dina passed all her courses at the Conservatory. Bernadette did, too-‘a graduate pianist as well as organist’, as Dina wrote in a letter to her parents. It’s presumed that Aline passed hers as well. They left ‘Our Lady of Peace’ filled with gratitude for the kind hospitality of the Sisters of Jesus and Mary. One of the nuns gave her a medal of the Sacred Heart, with the injunction to wear it always. Dina took the simple request as a literal command and put it around her neck. She wore it till her own Profession as a Religious of Jesus and Mary. But at the time of her departure from New York, she had not the remotest thought of entering the Congregation of Jesus and Mary. This piano is now in the ‘rebuilt’ Convent of Jesus and Mary in Sillery. In June 1918 Dina finished her two years’ course at the Conservatory and returned to Quebec. These years were spent with her parents, living the ordinary life of a young Catholic girl in the world. That was what ‘the world’ saw. She experienced the ‘dark night of the soul’, where she entered spiritual aridity and dryness. This started while she was still in New York. Spiritual exercises became occasions for distractions and struggle. But she was still faithful in doing, and even increasing them. She gave twenty, then thirty minutes for daily meditation-she had no permission to extend it any longer. There was ten minutes of spiritual reading,-often from ‘The Imitation of Christ’ (again, another ‘connection’ with St. Therese of Lisieux). 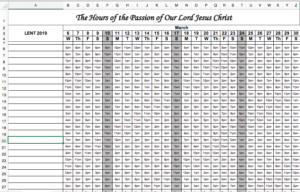 Daily Rosary or the ‘Little Office of the Blessed Virgin’, or at least ‘part’ of the latter. She made frequent use of short ejaculatory prayers. 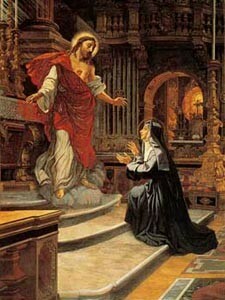 She made the Stations of the Cross, and a daily visit to the Blessed Sacrament. To get all of these things in during the day, she curtailed her hours of sleep. At times, the ‘voice’ of Our Lord, which she had ‘heard’ since she was eleven, made itself heard within her soul. He brought before her, through the ‘eyes’ of her imagination, images that were new to her. She was always afraid that these came from the devil and not from God. ‘Yet,’ she says, ‘I was fully convinced that the teachings were those of my Master; whatever treats of obedience, humility and self-denial can come from no other source.’ She noticed that Jesus spoke to her soul only when she was perfectly calm. If she was not, He would soothe her and inspire her with sentiments of humility and contrition for her faults; then she was able to understand His mysterious language. One day, she asked Him not to let her be deceived by the devil. She says, ‘He explained how I could always recognize the difference between His divine voice and that of the tempter who so loves to play the role of imitator and deceiver. 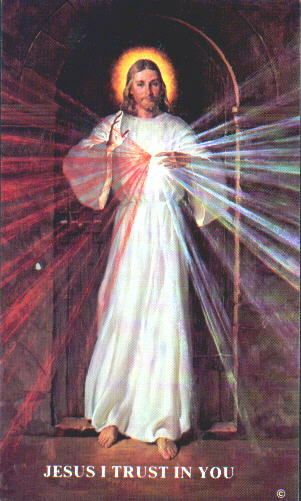 The Savior makes Himself heard only in hours of deep recollection, peace and silence. His voice is soft, so soft that in the soul all must be hushed; it is a melodious voice; while that of the devil is noisy, abrupt and discordant and his words are uttered in the midst of agitation and tumult.’ She uses a French-sounding word, ‘brusquerie’ ! Around this time Our Lord disclosed to Dina that He had a ‘mission’ to entrust to her. She says, ‘He exhorted me to pray fervently and pointed out the necessity of serious preparation, but did not reveal what this task would consist. I understood nonetheless that the salvation of a great number [of souls] would depend on my generosity and fidelity.’ He also taught her (again by using an image) the great value of grace, and how each grace received is like a link in a chain–unfaithfulness to grace snaps a link and breaks the chain. Her thirst for martyrdom increased, and with it an intense thirst for self-denial. Under obedience, Dina relates some of these mortifications: never showing preference for any kind of food, taking what she liked least; turning her eyes away when passing by a confectionary shop (VERY prevalent in French-speaking Canada! ); not drinking when thirsty; sleeping on a hard pillow; not crossing her feet at the ankles; accepting candy when offered but not touching it when alone. Are these childish? On the surface, maybe-but the scoffers and skeptics out there try for a single day what is most perfect in everyday circumstances, and how much strength of will it requires to endure what some spiritual writers call ‘a martyrdom of pinpricks’! While all this ‘interior’ life was going on, Dina became a Third Order Dominican. After a year of probation, she made her profession, and took the name of St. Catherine of Siena. This name was granted her only after she said that her birthday was on the Feastday of St. Catherine (April 30 on the ‘Traditional’ Roman Calendar-now April 29 on the Modern Roman Calendar). She often invoked the help of St. Joan of Arc (then newly canonized when Dina wrote her ‘Autobiography’). St. Joan was very popular in the Quebec of her day, and she asked for the help of the ‘Maid of Orleans’ to be faithful to her ‘mission’. She gave many recitals at this time. Before each one, Jesus would ask of Dina the sacrifice of her success and inspired with a real sense of failure. She submitted to His wishes and begged of Him the grace of not simply making a ‘little’ mistake that would pass unnoticed by everyone, but the humiliation of complete failure! Yet she wondered-and indeed she asked this question to Our Lord-‘What can be the object of my musical studies?’ He answered, ‘Your music will protect your vocation, but you will do good particularly by your writings.’ She was surprised at this! Jesus continued, ‘Yes, in the convent, you will devote yourself to literary work.’ She was mystified by this; but it was fulfilled in the writing and publication of her ‘Autobiography’. 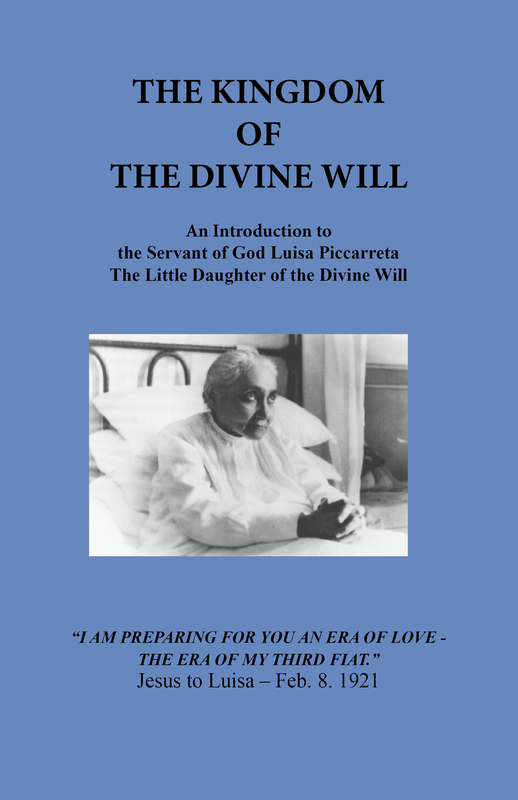 On September 4, 1920, Dina’s confessor, to whom she had spoken, told her she might leave the world in six months, or a year at most, and a week later it was decided that she should apply to the Convent of Jesus and Mary at Sillery, a suburb of Quebec. She went with Bernadette Letourneau, her New York companion, to meet their future Novice Mistress, Mother St. Elizabeth. After meeting and speaking with the two young ladies, Mother went straight to the chapel to thank Jesus and Mary for these two promising additions to the Novitiate! 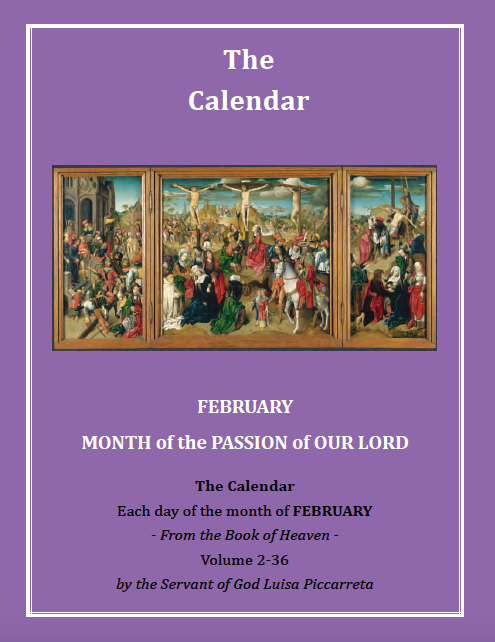 As a matter of fact, when she was made Novice Mistress in November 1920, Mother St. Elizabeth asked Our Lord that she might have ‘a Saint’ among her Novices….little did she know that ‘Saint’ would soon be among them in the person of Dina Belanger! Now it was left for Dina to inform her parents of her decision to enter the convent, and to prepare them for the coming separation. It was heartrending for Monsieur and Madame Belanger, but they accepted with true Christian resignation: ‘Since it is God’s Will, we are ready to embrace it!’ As the time grew closer, they multiplied their attentions to her. It was not to dissuade her from her decision; on the contrary, they fully accepted it. In June, 1921, they gave her a last gift: a trip to Niagara Falls. She loved it-the trip made her raise her heart and mind to God in thanksgiving for the beauties of His creation. Dina says that on her entrance day, ‘her soul was filled with darkness and repugnance, yet she had scarcely crossed the threshold when an inward force made her say, ‘THIS IS HOME’. These words were not inspired by any ‘natural’ feeling-she ‘felt’ nothing, groping her way in darkness of spirit. In the evening, she received her postulant’s ‘mantilla’ (headdress), which she accepted with great piety. Next day she attended a Clothing ceremony and a Profession, but her dryness persisted-she was, she said, ‘indifferent as a rock’. The only thing that touched her was the kiss of peace that was given by each member of the community to the newly professed and the new novices. Before she entered, she felt that convent life ‘presented one continual series of struggles against natural inclinations and tastes, and this had delighted me.. But the devil was waiting.’ He whispered to her, ‘Do you think you can live here to the end of your days? Are you going to submit yourself to all these burdensome regulations?’ It was a terrible conflict. She watched the other nuns, and was filled with admiration at seeing their happiness and their recollection; and thinking of their virtue, she said, ‘Surely each one of them is a great Saint.’ Then the devil showed her an abyss between their perfection and her own piety. She fought this temptation with Our Lord’s help, saying, ‘Why can I not imitate them? 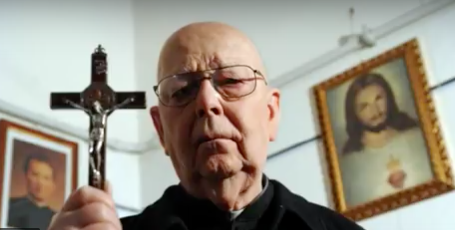 They are frail creatures like myself, and Jesus will help me as He helps them.’ Then the devil made use of another weapon. Almost all of the spiritual exercises were done in common, and Dina would be obliged to pray aloud and use set formulas for prayer instead of being able to speak to Our Lord intimately. She says in response, ‘What a deceitful trick! 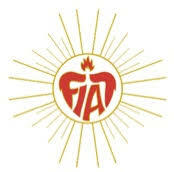 Religious life is the state of prayer: everywhere, at the religious exercises, at work, or at rest, Jesus and the soul are one.’ Prayer in common eventually became a consolation to her, and the union of holy souls filled her with confidence. Sometimes when out walking on the grounds by herself, she would feel a strong impulse to go home just as she was, without hat or coat, or escaping at night through a window. She knew instinctively that these were the devil’s temptations, and she held onto her vocation just as she did to her eternal salvation. To have to return to her home would have been a cruel trial; but as it happened during her boarding school years, her homesickness lasted several weeks and caused her to cry very much. She received the grace to practice perfectly the recommendations that were made. One of her fellow Sisters [probably her Novice Mistress, Mother St. Elizabeth] states, ‘In one of our first conversations [after her entrance] she spoke of her practices of devotion. I made her clear to her that on entering a religious Order, the act of self-donation replaced all private practices and it was better to follow the spiritual exercises of the Rule and the customs of the Congregation. She accepted my point of view and endeavored to conform her conduct.’ So when ‘interior silence’ was mentioned, Dina made a complete ‘truce with the past’-she severed all ties to her memories of her life in the world. She was even prepared to give up her cherished music and never play another note, if that was God’s Will! Postulants did not join the Novitiate during the first three or four weeks, but they were sometimes invited to spend recreation with the novices. Dina was edified by their charity, their cheerfulness, and their constant smile. She says, “I soon learned the secret of the soul that has surrendered itself to Jesus and now radiates the beauty and goodness of the Beloved. In observing each novice, the encouraging thought I already mentioned recurred to my mind: ‘What others have done, cannot I do?’ ” A sign hanging in the Novitiate impressed her greatly and seemed to be addressed to her personally: ‘If you begin, begin perfectly’. She received two graces in this retreat. First, she seemed to begin a ‘new life’. She plunged her past life into the Precious Blood of Jesus and drove it from her mind. The break with her former life was so complete that she felt as if she had died and had been reborn. She summed up in three phrases the plan of her ‘new life’: blind obedience, to suffer joyously, and love unto martyrdom. Now a novice, Dina (now Mother Marie Ste-Cecile de Rome-‘Mother’ a title given to the Sisters who taught) continued giving music lessons. She loved all her students dearly, but with a ‘spiritual’ love. She looked on them as ‘living ciboriums where the Trinity dwelled” if she had preference, it was for those who found it hard to study or keep to the rules. 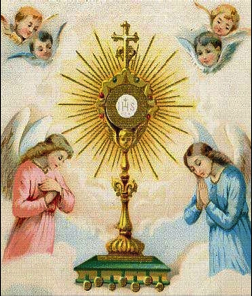 At this time she made a ‘pact’ with the Angels guarding the Tabernacles of the world to replace her everywhere and always in adoring Jesus in the Blessed Sacrament in her place. Later on, as her mystical life deepened, she heard Mass in union with them in a special manner. She also ‘supernaturalized’ her meal times, imagining she was eating in the Holy Family’s presence and being served by Angels. During her Novitiate, there was some talk of sending some of the Sillery novices to finish their novitiate at the American Jesus and Mary house in Highland Mills, New York (Archdiocese of New York, now called ‘Bethany Retreat House and Thevenet Montissori School’). In Mother Ste-Cecile’s time, it belonged to the Canadian Province of Sillery, and it had been opened for English-speaking candidates. She changed her motto after the August retreat, feeling that her schoolgirl ‘Death rather than defilement’ didn’t suffice anymore. She made up a new one that incorporated the Names of Jesus and Mary: ‘Jesus and Mary, the Rule of my love, and my love, the rule of my life.’ Later on, she found her definitive motto: ‘Love, and let Jesus and Mary have Their way.’ ‘Aimer et laisse faire, Jesus et Marie’ in French. In the fall, she spent some time in the infirmary. 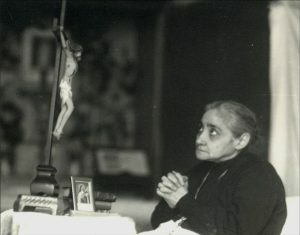 While recovering, she tried writing verses, holding her crucifix in her right hand while writing so that Our Lord would guide her pencil ‘and set His stamp on my writings’, as she says. To her great surprise, ideas sprang into her head and the rhymes came without bidding. But when she was with others, she didn’t do this, so as not to attract attention and appear singular—then she got ‘writer’s block’! She prepared fervently for Christmas, but when the day came she was filled with spiritual darkness. Yet, when she made her Communion thanksgiving, she made a promise: ‘My God, I wish to perform my every action with the greatest possible perfection. I wish to refuse You nothing.’ However, even after making this promise, she did not hear Our Lord’s voice. He was putting her faithfulness to the test by leaving her in this ‘dry’ state. One morning, after listening to the reading of the day’s meditation, Mother Ste-Cecile couldn’t concentrate on it. She realized this was Our Lord’s doing, and let Him do His Will. He wished to be comforted (again, much like Sister Josefa Menendez in her experiences). She saw His Heart bruised and beaten by numerous hammers that fell roughly on Him. He showed His Heart to her, pierced by a number of darts that were driven into It by a greater or lesser depth. Each blow of the hammer, each prick was an insult caused by sin. Then she saw It wounded by numerous needles-small for the most part, very small. He said to her, ‘These are the indelicacies of religious souls; oh! how the pinpricks make Me suffer, coming as they do, from the souls I love best!’ (another similarity to Josefa Menendez). Her hunger for Holy Communion increased. A day without receiving Our Lord was a dreary, bleak day whose hours dragged on. She entrusted her preparation for Communion to Mary. 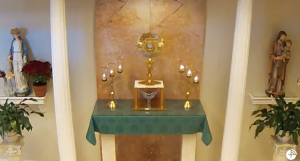 As she approached the altar rail in the chapel, she pictured the ciborium surrounded by the seraphim, either in deep adoration or expressing their fiery love by heavenly music. She heard such wonderful singing, the sound of which made the most harmonious earthly pieces seemed discordant in comparison. She received Jesus from Mary’s hands. Led by her Heavenly Mother, Mother Ste-Cecile returned to her place, imaging herself to be surrounded by Angels forming the Court of the Divine King. During her thanksgiving, Mary often spoke for her. Mother Ste-Cecile only had to listen, uniting herself to Our Lady in contemplating and loving her Son. Another day Jesus invited her to remain continually in retreat in His Heart, applying herself always to the closest possible union with Him. This did not distract her from her exterior occupations, however; He didn’t want her to be so ‘preoccupied’ with Him to the extent of neglecting her duties as a religious. She walked in His presence, always keeping Him company while He acted through her. An example of this is the following incident: one day she was at a picnic on the grounds of the convent. She played games, talked and laughed like everyone else. But her ‘inner gaze’ was still fixed on Jesus, keeping Him company all the while. Mother Ste-Cecile loved following the common life of the religious in everything, but Jesus willed that she should be deprived of it. She feared exemptions yet she was often obliged to ask for them. It was humiliating for her to ask, she didn’t ‘singularity’. Then she realized that it was beneficial in the religious life to be guided by one’s Superiors. The awkward ‘blunders; she did seemed to increase. She says, ‘It was good for me that they humiliated me as I deserved, and on account of that I prized them; but I was often very inconsiderate towards those to whom I owed most respect and who were very kind to me. That proves what I was like! I used to tell Jesus how sorry I was and ask Him to repair my blunders, and to console those whose feelings I had hurt.’ Her delicate conscience made her see her failures in their worst public light; for all testimonies after her death spoke of her deep politeness and thoughtfulness of others. As she prepared for her Profession, she wished to offer her Spouse a gift, and began to prepare her symbolic ‘wedding basket’. As she approached her retreat before Profession, she was roused to great fervor; but when it began, the instructions did not move her. The devil even made use of them to try to upset her. 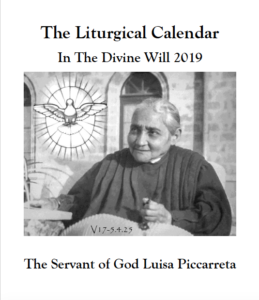 Our Lord wanted her to remain in ‘darkness’ while He worked on her spiritually; but when August 15, 1923 came, He gave her everything that would make her Profession a happy one! Her parents were present, the Ceremony was conducted by her former pastor Msgr. Omer Cloutier, the Mass was said by one of her cousins, and her former spiritual director Father Philemon Cloutier was also present. And next to her, professing the same vows, was her friend Bernadette Letourneau, now called in religious life ‘Mother St-Omer de Luxeuil’. Now a young Professed, Mother Ste-Cecile de Rome began her active life. She was sent to the convent school at St-Michel de Bellechasse, a small town up the St. Lawrence River from Quebec City (the school still exists, now named ‘College Dina-Belanger’ in her honor and in her memory). She remained there for five weeks, teaching music. After that, she was recalled to Sillery, again to teach music. She contracted scarlet fever from nursing a student who had the disease, and had to go into quarantine. The after-effects of this highly contagious disease would eventually lead to tuberculosis, which caused her death six years later. At first, Mother Ste-Cecile was distressed to have to be isolated from the rest of the community. It was not a cause for rejoicing to be inactive while her Sisters had to take on her work in addition to their own [something that anyone in today’s work force can attest!]. To be deprived of community life, and live by oneself day and night in one room….that was from a ‘human standpoint’. But from the moment of her isolation she discovered that Jesus was doing her a great favor: He had withdrawn her from active work and placed her in total solitude in order to work in her soul by Himself. He began by depriving her of Holy Communion for ten days. She longed for the ‘Bread of Angels’! Every day she heard the priest pass by her door, bringing Our Lord in the Blessed Sacrament to the other sick Sisters’ rooms. She called out to Him inwardly with deep desires but submitted cheerfully to His Holy Will. His kindness granted her a consolation in return. She would make a ‘spiritual Communion’ at the same time the rest of the community approached the altar rails in the chapel for their sacramental Communion. It seemed to her then (this was an image in her mind) that an Angel brought her an invisible Host, which she received as from a priest’s hand, and she made her thanskgiving as usual. After her personal adoration of Him present within her, she had the inspiration of gathering together a ‘Court’ for Him. She asked Jesus whom He would like at His court. He wished for Our Lady, St. Joseph, her Guardian Angel, St. Cecilia and St. Therese to keep Him company, to always think of Him and to love Him. This way He wouldn’t be forgotten or alone in her heart when her human frailty might distract her from His presence. 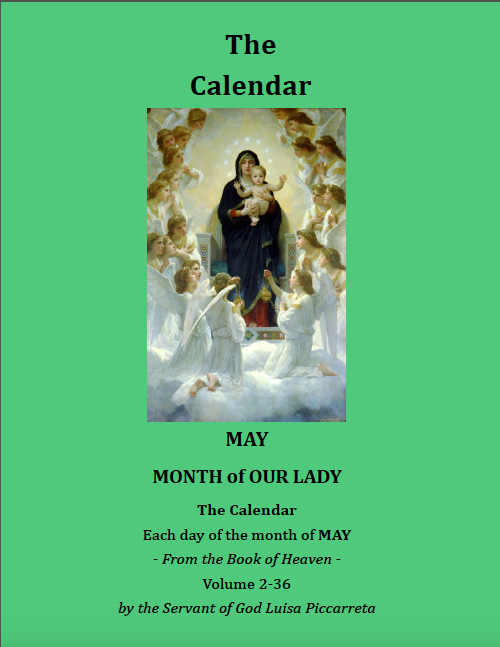 She would ask Him each day, ‘My dear Jesus, whom do You want at your Court today?’ Our Lady and the other four Patrons already mentioned were always present, but besides them Jesus would other Angels and Saints. 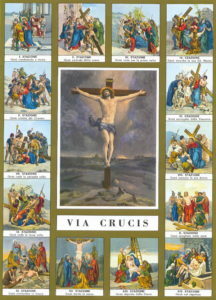 Examples: St. Elizabeth of Hungary (her Novice Mistress’ namesake as a religious), St. Stanislaus Kostka (patron of the Novices), St. Aloysius Gonzaga (patron of youth), St. John the Evangelist (patron of virgin souls), St. Catherine of Siena (Dina’s name when a Third Order Dominican), St. Joan of Arc (patron of ‘faithfulness’ to Dina’s ‘mission’), St. John Berchmans (another patron for novices), and the Saints whose feast was on the calendar for the day. Later on, Mother Ste-Cecile would make a general intention to invite ALL ANGELS and ALL SAINTS to form the Court of her Beloved King, and remain there always. 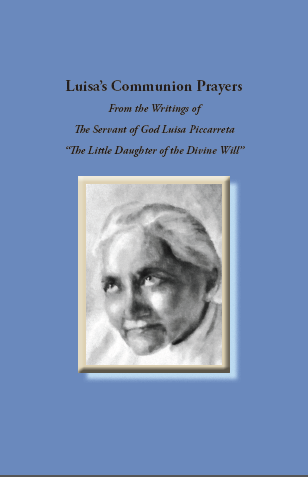 On November 1, 1923, All Saints’ Day, she was allowed to receive Our Lord sacramentally-she knelt at the doorway of her room to receive Him in Holy Communion. She thanked Him with joyful tears. She abandoned herself more and more to Jesus’ divine action. She sought as her ‘ideal’ the ‘substitution of Our Lord for self’. She felt that Our Lord and she were one, that He made use of her faculties, senses, and members; that He thought, willed, acted, prayed, looked, worked, spoke, wrote taught-in a word, He LIVED in her. All she had to do was to contemplate Him and say always, ‘Jesus, I love You’, just like like her Saintly friends in heaven. The result of this stupendous experience was Jesus alone would now be acting in Mother Ste-Cecile de Rome. Her humanity would be as a ‘cloak’ to conceal Our Lord within her. He had ‘substituted’ Himself for her! ‘Jesus said to me at the hour of Mass: ‘Since you cannot assist at Holy Mass in the chapel, come and hear St. Cecilia’s praises chanted in heaven’ . I seemed, forthwith, to be transported to heaven where I listened to harmonies of a sweetness and sublimity unknown to earth. Then a multitude of Angels and Saints intoned a hymn to the praise of the Eternal God: GLORIA IN EXCELSIS DEO! Innumerable instruments accompanied it and continued without interruption during the SANCTUS, SANCTUS, SANCTUS, DOMINUS DEUS SABAOTH. PLENI SUNT COELI ET TERRA GLORIA TUA. HOSANNA IN EXCELSIS! which followed. Oh! those only to whom the Lord deigns to grant the grace can understand these contemplations! The SANCTUS in particular surpassed all that I could imagine of ineffable and inebriating harmony. I heard the voices of children, of confessors, of holy women, of apostles and martyrs; I harkened to voices incomparably more beautiful, sweeter and richer than the former. These were the virgins who follow the Lamb wherever He goes. The different choirs alternated or blended into a sweet melody. This was followed-the instruments continuing always-by a marvelous paen of thanksgiving to the Lord glorified in St. Cecilia, a triumphant hymn in honor of this illustrious virgin. 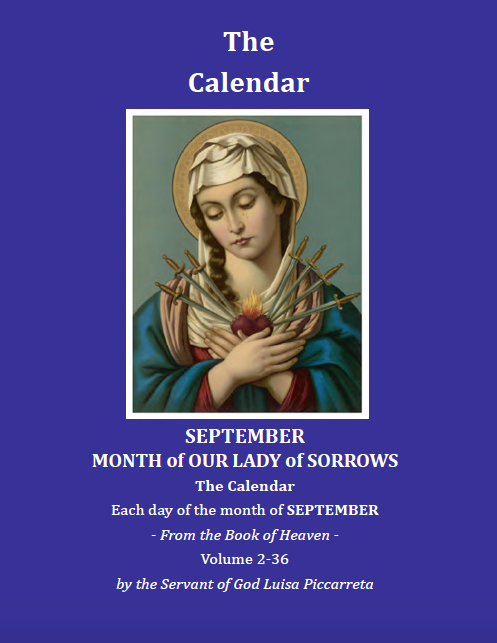 The hosts of Angels and Saints saluted her and praised her; then the music grew very soft and St. Cecilia alone intoned her song of love and gratitude to her Spouse. What pure, vibrating accents they were! The chorus took up the hymn and brought it to a conclusion. On December 7, 1923, Mother Ste-Cecile de Rome was finally discharged from the infirmary, with permission to resume her music lessons and some other duties with the students in the boarding school in Sillery (study hall and corridor supervision). The hidden suffering she had was thinking of Our Lord’s sufferings, and all the outrages committed Him, and the lack of trust and love He met in souls. 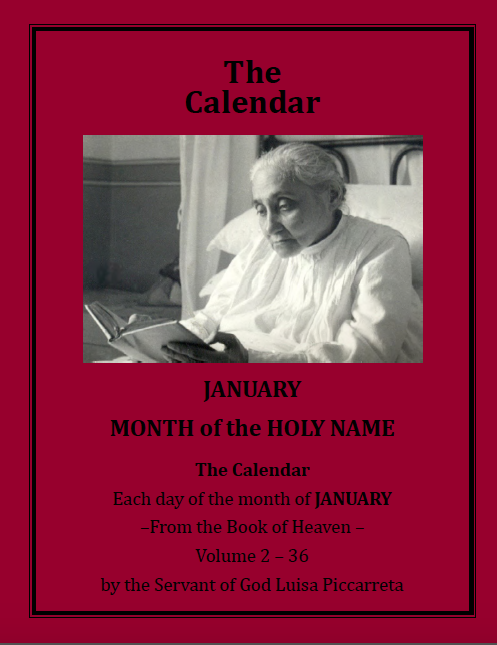 At the beginning of January 1924, Mother Ste-Cecile de Rome resumed her teaching duties. Her illness, however, threatened to become more serious. After a rest period in the infirmary, her condition seemed to improve. The sacrifice of teaching and of being with her much-loved students would be only temporary. In February, she was asked by her Superiors to return to St-Michel de Bellechasse until the end of the school year in June. 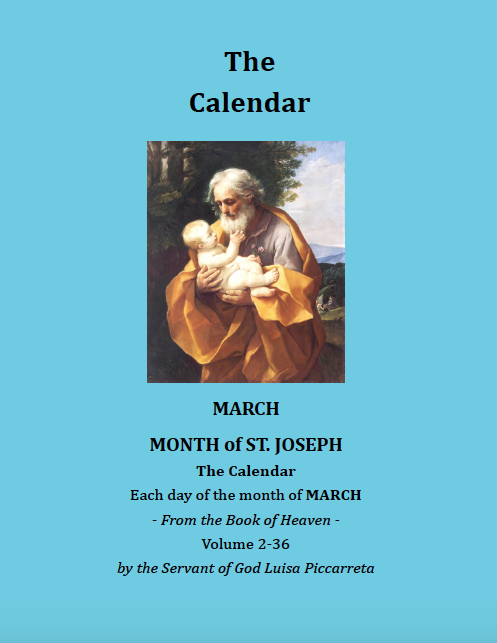 Our Lord said to her, ‘Go to St-Michel-you will not be there long, you will be back in April.’ And so it happened-on April 2, 1924, Mother Ste-Cecile, once again ill, returned to the infirmary in Sillery. Nonetheless, Mother St-Romuald tried again, and this time she said to the Councilors, ‘Our Lord will look after her humility.’ With this sensible argument, the permission was given. ‘Do you wish me to, Mother?’ Mother Ste-Cecile asked. ‘Yes, Sister, it is my wish,’ was the reply. ‘Very well, Mother. I will do what you ask,’ was the last word. ‘She obeyed so simply that I did not suspect the heroism implied for her in doing so,’ the Superior later said. This conversation took place in February 1924. Mother Ste-Cecile de Rome was going back to St-Michel de Bellechasse at the end of the month. She began the ‘Autobiography’ while at St-Michel. As Mother Ste-Cecile wrote, the Superior collected the ‘notebooks’ one by one, and put them in her desk drawer without reading them. The first part of the book was finished in June 1924. Resuming it again under obedience, she continued writing until July 1929, when she became too ill to write any longer. Our Lord told her, ‘You will do good by your writings.’ She never dreamt that this was the fulfillment of His words! She suffered greatly (some of the illnesses she had in her religious life were: tonsillitis, heart trouble, swelling of the arms and legs, and tubercular glands on the neck). Her ‘human nature’ groaned at the pain and the tears flowed, but her will remained firm. 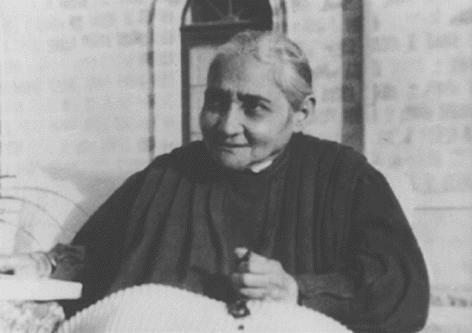 Once she said to her Superior, ‘Mother, please order me to love God.’ And when she heard the reply, ‘Yes, dear Sister, I order you to love Him as much as He Himself desires, I order you to love Him even unto folly’, Mother Ste-Cecile’s eyes shone with joy. 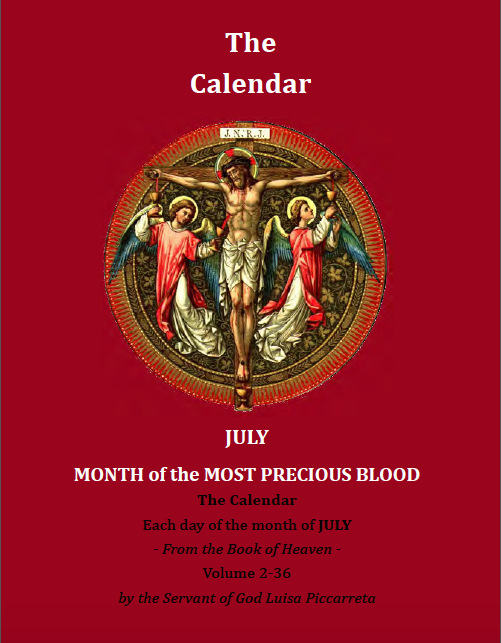 Now we come to a very mysterious-if not controversial-part of Mother Ste-Cecile’s religious life: the so-called ‘Deception of August 15, 1924’. She was already back in the infirmary by the time she finished the first part of her ‘Autobiography’ on June 30, 1924. 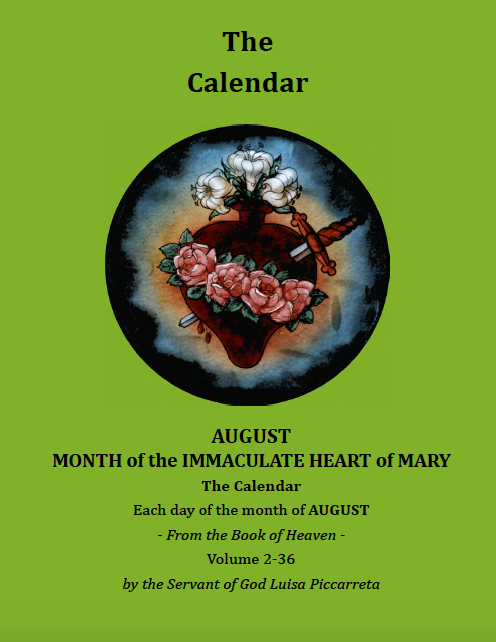 Then August 15 came, and Mother Ste-Cecile was still on earth-SHE DID NOT DIE! On that day, Mother St. Elizabeth came by the infirmary to check in on her. Mother Ste-Cecile was not too ill physically even if she was not confined there. Noon came-nothing happened. Then came the evening….and Mother Ste-Cecile was still alive. What was Mother Ste-Cecile’s response? She simply said in a tone of deep humility, ‘That is true, Mother-I have been mistaken.’ No excuses, no explanations….just those few words….’I was mistaken’. What happened? Was she the victim of her imagination-or even worse, a tool of the devil? She certainly wasn’t a victim of illusion-the words she heard from Our Lord were too clear, too concise. She was a woman of good sense and sound judgment-such a prolonged illusion would be hard to admit. And if she WAS a victim of her imagination, she would have tried to explain it away and justify herself. But she didn’t-she simply said, ‘I was mistaken’. 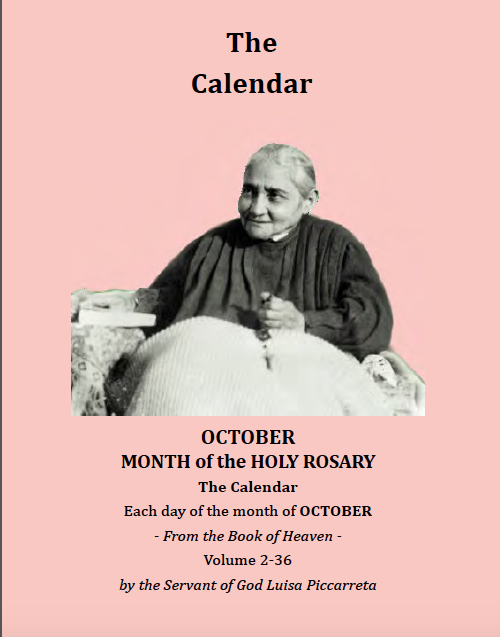 So, what did Mother Ste-Cecile de Rome do after August 15, 1924? Did she lose her courage-did she ‘give up’? No, she didn’t. She made this heroic act of surrender on the very evening that the Novice Mistress rebuked her, a grace of the mystery of Our Lady’s Assumption. She says, ‘I didn’t dwell either on the wish to see or on the wish to understand. I tried to make a more perfect act of surrender, a pure act of love; and I began all over again a totally new life; yes, I repeat, a new life.’ In appearance she was the same; her fellow Sisters did not see or remark on any outward change in her, but in reality she she experienced a profound transformation. All this time she was also undergoing a deep interior darkness. She had desired to make ‘The Vow of Greater Perfection’ before her First Profession. Permission had been denied then, and she accepted in obedience. Now, as August had gone into September, and still she was in spiritual darkness. 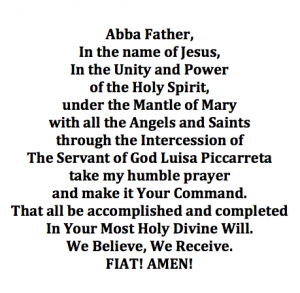 But on October 2, 1924, the Feast of the Guardian Angels (and the exact anniversary of her private vow of virginity at fourteen), she received permission to make this Vow in its fullest extent! 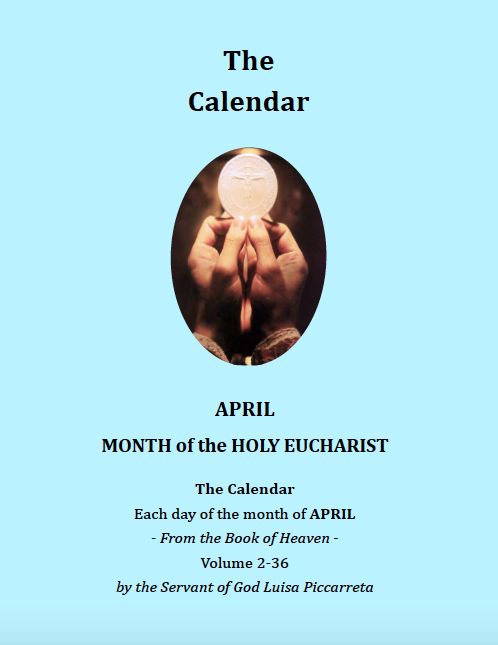 She made the Vow the next day, October 3 (Feast of her beloved ‘sister’ St. Therese of Lisieux on the ‘Older Roman Calendar’), after receiving Holy Communion in the infirmary. The joy she felt was like on a day of ‘spiritual espousals’. The Vow became an exercise in humility for her. It gave her a whole series of humiliations-imperfections, stupid mistakes. They proved how weak and wretched she was. Whenever she became aware of an imperfection she would say to Our Lord, ‘This is what I can do of myself! I give You this failing and leave to You the task of repairing it, and for that I love you, oh! so much!’ Then she would take her crucifix and kiss the Sacred Wounds. 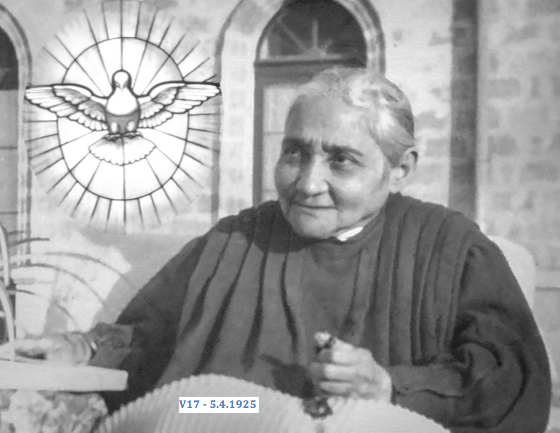 From August 15, 1924 on, Mother Ste-Cecile de Rome could be described as being on an ‘interior journey’. She became more and more ‘interiorized’, eventually reaching into the depths of the Blessed Trinity Itself. Her constant prayer was in offering Our Lord to His Father through Mary and the ‘Spirit of Love’ for ALL men, present and future. 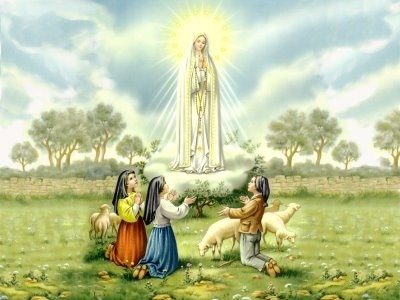 Our Lord told her that this offering pleased Him very much and contributed to the salvation of a large number of souls. The ‘chalice’ that Our Lord gave her at intervals from this time onwards was a participation in the sorrows of His Agony in the Garden of Olives. When He gave her this grace she did not ‘see’ an actual ‘physical’ chalice even with the eyes of her imagination; but she knew with certainty that Jesus was about to share His sufferings with her. ‘Very few souls, even consecrated souls, know how to sympathize with the Agony of My Heart’. 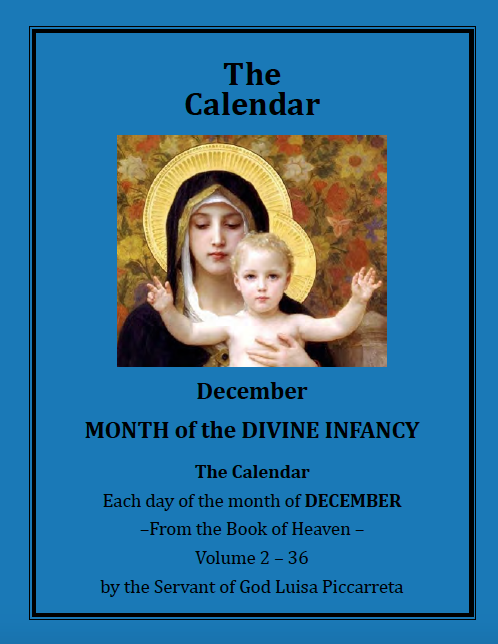 ‘On January 22 , a Saturday and the Feast of Our Lady of Fourviere [the Patroness of Lyon, France, the birthplace of St. Claudine Thevenet, the Foundress of the Congregation of Jesus and Mary], we had a closing ceremony of the Forty Hours Adoration. During my meditation before the Blessed Sacrament exposed I suddenly felt myself enveloped in profound peace. 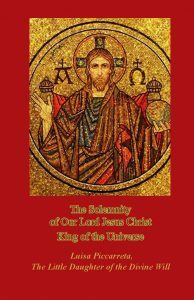 I was already conscious of the Presence of my Divine Master, but this was something more than the ordinary union of Thursdays and Fridays. [sharing in the ‘chalice’ of His suferings]. The Stigmata remained invisible as she wished. No one could see them. But after her death, the infirmarians testified before the Beatification Process that they noticed an expression of pain on Mother Ste-Cecile’s face when her hands and feet were rubbed. Mother St. Elizabeth stated that the feet became so sensitive that it was impossible to rub them as before-the pain was too severe. It was around this time that Our Lord began calling her ‘My Little Own-self’. ‘My priests ought to be other Christs. Many of them are eloquent and have much human learning, but they lack the fundamental science, holiness. Certainly they are united to Me by sanctifying grace, but they do not live intimately united to Me by self-denial and pure love. One time He even showed her the horrible state of a priest’s soul stained by mortal sin! On August 5, 1927, Our Lord said to her: ‘Come into the Infinite Garden of the Trinity, where only a few privileged souls may enter’. Then she was transported into ”The Tabernacle of the Most Holy Trinity.’ She says, ‘I found myself as it were in an immense furnace of delight. The last expression, ‘an immense furnace of delight’ is indeed inadequate; but more and more I find myself unable to express in human language what I discover in the depths of the Infinite’. In this state of union with Our Lord her happiness was undoubtedly very deep, but it was accompanied by great suffering. At times she felt very fatigued and in spite of her interior joy, the tears would come into her eyes. This life of constant self-denial caused her many struggles. As she began to decline health-wise, her physical tiredness increased and she was at times tormented by temptations to discouragement. Often she was unable to restrain her tears and she found herself sighing aloud at times. These occasions gave her opportunities to humble herself, and she strove to ‘always smile’, as Our Lord told her. She was still fearful of illusion, of being the victim of her imagination. But she found her refuge in being obedient and completely open with her Superiors. 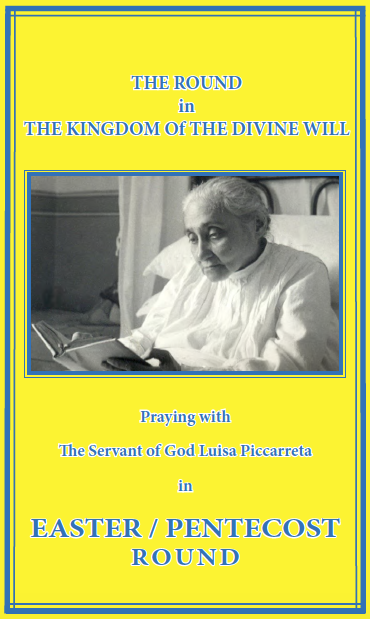 Her health continued to decline after she made her Perpetual Vows. 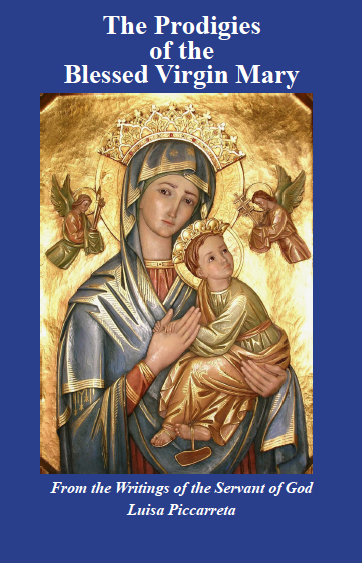 She was tempted to discouragement as stated before, but Our Lord encouraged her in the depths of her heart….and once she even heard the voice of Our Lady doing the same! She continued writing her ‘Autobiography’, but it became harder for her to remember everything Jesus said, especially when the communications were lengthy. She sometimes begged Him, ‘Dear Jesus, make me remember all that!’ or, ‘My Jesus, You will have to write that down Yourself because I shall not remember it all!’ And so, as a concession to her weakness, Jesus in His Mercy allowed her to take notes as soon as He finished what He was telling her, because she was still under obedience to write down all He told her. Christmas 1928 was her last one on earth. She was able to attend Midnight Mass and receive Holy Communion. When Our Lord came into her heart she renewed her ‘Vow of Greater Perfection’ forever. She did this in aridity and dryness of soul, however; Jesus was silent, but she felt a supernatural joy in having this bitter suffering to offer Him. ‘You will pay them as God?’ she asked. 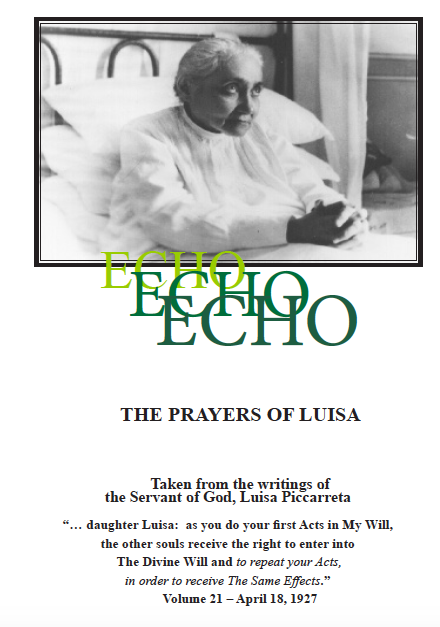 When she was well enough, she continued writing-not only her ‘Autobiography’, but she also composed songs for community events, short plays for the Novitiate, letters for her Superiors or for Sisters too busy or unable to write their own letters. It was amazing how large was her written output! She never shirked a duty or refused a service-her response was always, ‘It is I who am obliged, Mother.’ Even when diagnosed with tuberculosis and was undergoing treatment, she was still able to accomplish some hours of work each day. On April 29, 1929, her thirty-second birthday, she was moved to the tuberculosis isolation ward of the infirmary for good. When her New York friend, Bernadette Letourneau (Mother St-Omer de Luxeuil), went to the infirmary, she was told by the nun in charge, ‘Come and see Mother Ste-Cecile de Rome before she leaves.’ Mystified, Mother St-Omer followed her. There, in a wheelchair, was Mother Ste-Cecile, ready to go to the isolation ward! Mother St-Omer couldn’t hide her emotion. So Mother Ste-Cecile said in a teasing tone, ‘Well, is that the way you treat me on my birthday? Where are your courtly bows, your compliments?’ Regaining her composure, Mother St-Omer offered her greetings and well-wishes for her birthday, and they exchanged a few friendly words. The infirmarian, sensing the emotional atmosphere, took over the situation by saying, ‘It is time to go, are you ready?’ Mother Ste-Cecile nodded her assent, and with her statue of Our Lady of the Assumption in her arms, was taken to the isolation ward, where she stayed until she died. The other Sisters would come to visit her when they could. Being around her was like being on a retreat! 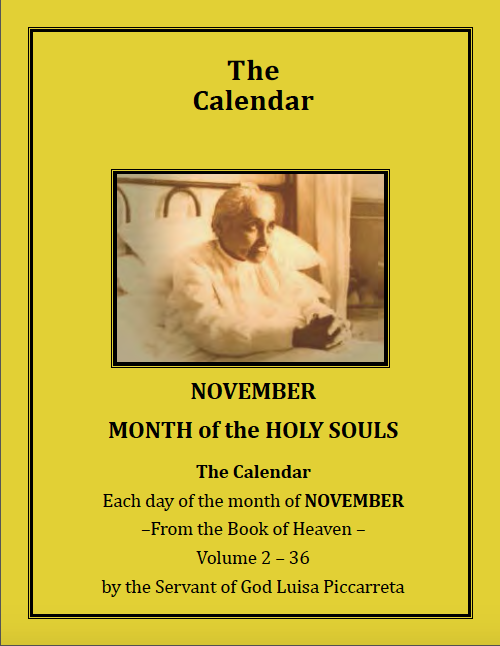 Even visitors from other houses of the Canadian Province remarked on the holy atmosphere that pervaded Sillery Convent….a saintly soul WAS living there! Three days before her death, she said to the infirmarian, ‘I will help you, Mother, I will help you.’ ‘Thank you!’ the nun replied, ‘you will be my heavenly assistant!’ And she fulfilled that ‘position’ very well after her death! Still fearing illusion, the Novice Mistress said, ‘Oui, vous etes bien heureuse de mourier.’ (Yes, you are very happy to be dying) The ‘play on words’ is evident in the French. This reply did not effect Mother Ste-Cecile at all–she wanted to be faithful in telling everything right to the very end of her life. On the morning of September 4, 1929, she had an attack of weakness, which lasted all through the litanies, the Rosary, and the prayers for the dying. The pain around her heart was so severe that she felt as if it were being cut out of her chest. 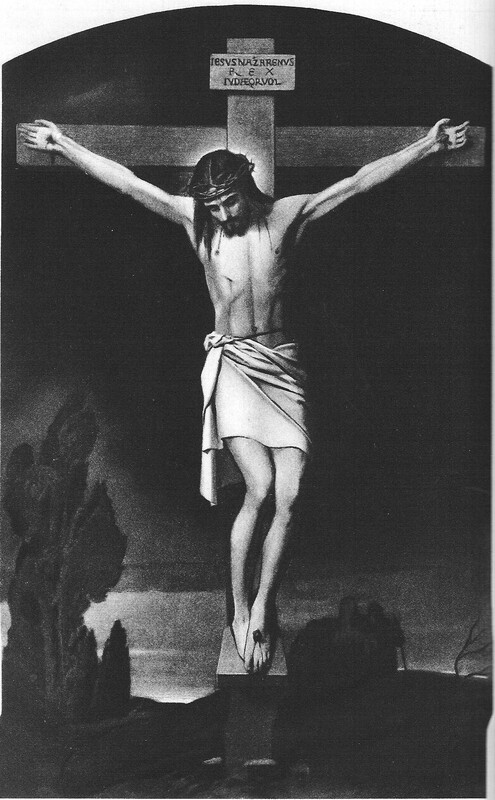 During this time she fixed her eyes on a picture of the Eucharistic Heart of Jesus that hung opposite her bed. Two hours before she died, she heard someone say, ‘Have courage!’, and she replied in a tone of conviction, ‘JESUS IS PRAYING.’ The smile that lit up her face was so extraordinary to those present that they wanted it photographed! 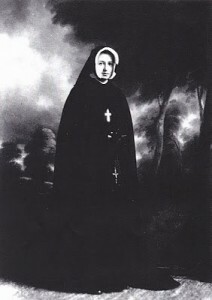 (This is probably the origin of the famous ‘deathbed photograph’ of Mother Ste-Cecile) She remained conscious to the very end. About two o’clock in the afternoon Mother St. Elizabeth and Mother St-Omer were saying the Rosary aloud by her bedside. Mother St-Cecile followed moved her lips in response. At the fifth decade, the recitation was interrupted so as not to tire her; but the dying nun raised her beads at eye level beseechingly as though requesting the continuation of the prayers. When the Rosary was done, she said, ‘There is something in my eyes.’ The symptoms of death were showing themselves! Later she said, ‘My eyes are fading out! …. ‘Death is coming for me!’ she exclaimed with joy. Turning to the Novice Mistress and to her friend, she smiled at them both-a pure, angelic smile which they would never forget. Around three in the afternoon, she grew worse. Her last words were, ‘I AM SUFFOCATING!’ The Mothers, summoned in haste, reached her room in time to receive her last breath. She died sitting up in bed, head thrown back, eyes fixed on heaven-she died in the exact same position as her beloved St. Therese! The date of her passing from this life was September 4, 1929. 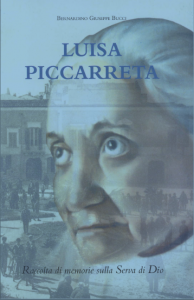 Her ‘Autobiography’ was published in the years after her death. 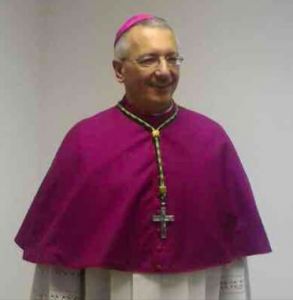 Two successive Cardinal Archbishops of Quebec City (Rouleau and Villeneuve) wrote glowing letters of recommendation. Messages poured into Sillery Convent from all over the world; from priests, religious, monks, nuns, Superiors from various communities and from young people. 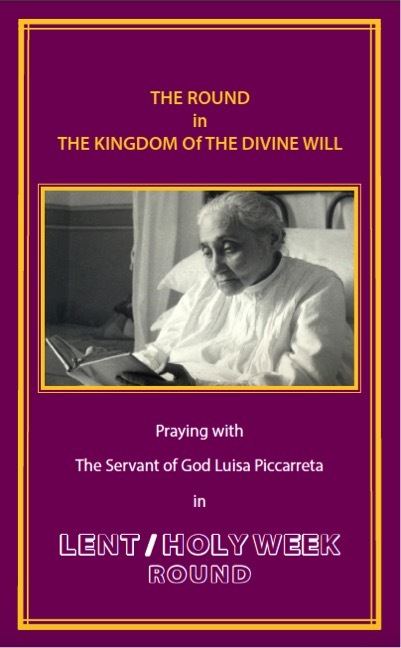 Many favors, both temporal and spiritual, were being granted through her intercession. On May 13, 1989, Dina Belanger was declared ‘Venerable’. On July 10, 1990, the cure of a New Brunswick man, Jules Chiasson, from hydrocephalus [‘water on the brain] as a baby in 1939 was approved. And on March 20, 1993 (the day before the Canonization of her Congregation’s Foundress, St. Claudine Thevenet), Dina Belanger-Mother Marie Ste-Cecile de Rome-was made ‘Blessed’ by Pope John Paul II. -The webmaster would like to offer a heartfelt ‘thank you’ to Barb Finnegan for this extraordinary article. May God reward her for her efforts in His regard. 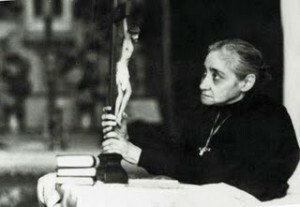 “Father of everlasting goodness, You put into the heart of Blessed Dina Belanger the burning desire to offer You on behalf of all mankind, the infinite riches of the Heart of Jesus present in the Eucharist, and to live, like Mary, closely united to Him whom she loved with an undivided heart.